Noise, Noise, Noise. Nothing sets me off and gets under my skin quite like unnecessary background noise. 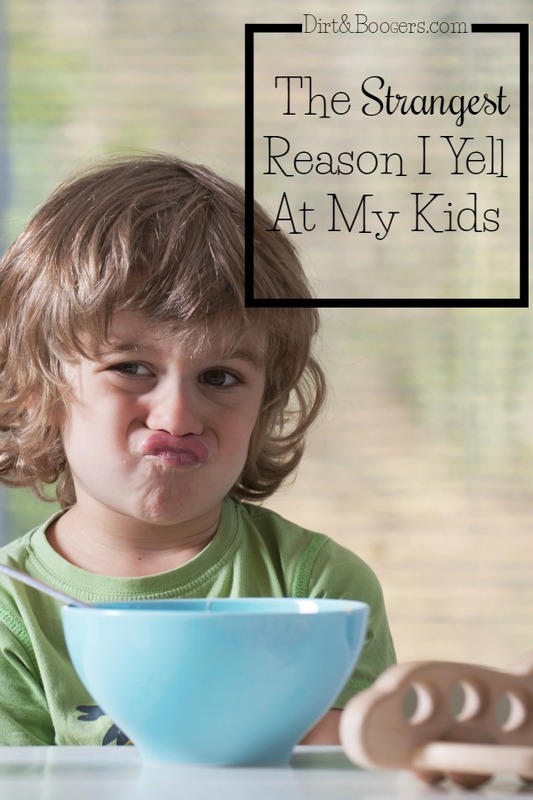 I believe that it’s the main reason why I yell at my kids. Crazy huh? It usually starts off small…some light music playing in the background. I start the dryer in the laundry room and leave the door open so the cat can get to her litter box. The central A/C kicks on. 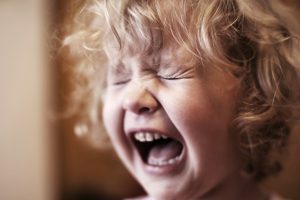 My kids get up…the baby starts whining out of hunger…my 4 year old starts talking. I start making breakfast while trying to listen to my son’s big plans for the day. I use our super loud microwave that turns on the vent when you use it. I’m trying to hear what my son is telling me over all the background noise and I strain to hear him. I’m trying to cook breakfast and pay attention to what he’s saying, but I can’t hear him. My baby is crying at my feet and I can’t handle it anymore. I start yelling at my son to STOP TALKING!!! Wait, didn’t I just ask him a question? Whatever, I’m angry. I get frustrated at my sweet baby and tell him to STOP CRYING, and I lose it. This scenario was getting pretty common. Almost every morning I’d yell while making breakfast. Looking back, there was no reason at all why I should have been angry. My kids were not acting out or doing anything wrong. Most of the time, they were just being kids. The problem was with me. There was just too much going on. My senses were overwhelmed and I couldn’t focus. One morning, I stopped. I listened. I was amazed at how much noise there was. It was so dang loud in my house! I shut the laundry room door and turned off the music. That’s all it took to bring the noise level down to an acceptable volume. Just shutting a door and pressing a button. That’s it. After that, I took a deep breath and could finally focus. Since that day, I’ve been paying attention to the background noises in my house. I don’t keep the music off all day long and there are times when I open our back door to allow the outside noises in. But, I’m intentional about what noises I allow in my space. I’ve also started to pay attention to noise when I’m starting to feel agitated. When I start feeling irritated, I immediately turn off or mute things to make the space quieter. It usually helps a lot. My kids still make quite the racket sometimes, and I can’t always control that. But, when I stop all the other background noise, their playful noises don’t bother me as much. 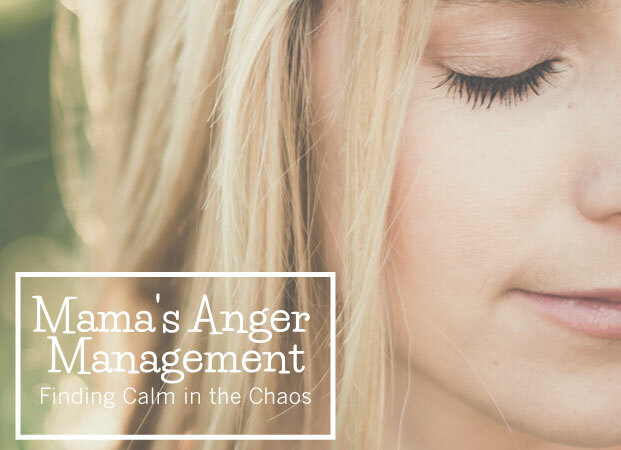 Finding triggers and working around them is one of the things I help you figure out during my Mama’s Anger Management eCourse. 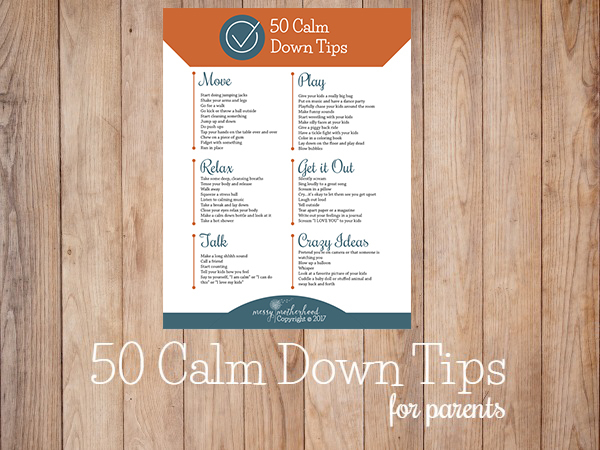 It’s also filled with proven calm down strategies and insights into why we yell. This course has helped hundreds of people transform their houses from chaos to fun! The fighting between my oldest two! And the screaming of my 2 year old when I don’t get to what she wants “fast enough” and our little dog outside barking!!! I need to turn OFF the tv more! I like to light scented candles all around.. for some reason the nice smells calm me! Ack! So much noise! It’s funny that you mention the candles because I’m the complete opposite. Strong smells coupled with strong scents drives me crazy. I could see why it could be calming for you though. Thanks for sharing the tip! I bet it will be helpful to those who are calmed my great smells. I never would have thought of it. I have an issue when my baby is crying at my feet and my 3 year old is whining while I am trying to do something like make breakfast. Getting breakfast in my house seems to be a huge chore, I am not sure why. I know they are not being bad they are just being their age and they need something from me but this is a trigger for me when I am busy. Yep…breakfast around here is tough too. Less noise helps, but I’m still trying to find a solution to the chaos of breakfast. I’ll let you know if I figure it out! Yep. Noise drives me crazy too! And of course I have a very talkative preschooler and a very fussy baby… so there is always a lot of noise! Here too Brittany! I can tolerate their noise much better when all the other noise in the house is off…to a certain extent. Sometimes they both get very loud and I have a hard time handling just their noises…add our loud microwave and Mom’s going to explode!! Noise! That’s it! I probably wouldn’t have figured that out! Thank you! You’re welcome! It’s amazing how something so small can make such a huge difference. I feel the same way. I always studied with lots of noise, worked with lots of noise, etc and it never bothered me. Now I often feel overwhelmed with to much noise and I start turning things down/off when I feel the stress coming on. I never thought about it before, but I always had music on when I studied and when I was working. But now, I can’t seem to tolerate it. I think it’s because I’m doing more things all at the same time now, so the music is just one more thing to overwhelm my senses. I know I can tolerate music in the car or when I’m alone…it’s mainly when the kids are around. Interesting…thanks. Yes, yes, and yes. I try to tune into this and shut off music when I feel like the dulcet sounds of a guitar are beginning to feel like chainsaws revving in my brain. My husband really doesn’t understand this part of me – why, for example, I can’t have the ceiling fans on in the summer because the humming noise they make causes me to go absolutely postal after a while! Ambient noises and little boys imitating train whistles are not always something I can control so I sometimes have to just leave the room and take a breather before I lose my cool. Erin, I think that we all have a threshold of noises we can tolerate, and it’s different for everyone. Some people, like you, are just more sensitive to the noise. Good for you for recognizing that it bothers you and finding ways to step away from it. It’s turned into a snowball effect. I already deal with anxiety and depression and now, that I’m trying to stop yelling, I’m internalizing everything and all the little annoyances and triggers are piling on top of each other and each instance highlights past instances and just hyper escalates EVERYTHING! until I can;t handle anymore and I explode. But that doesn’t fix the problem because then I start from a place of guilt and anger and resentment and it starts building again. I really don’t know what to do. This series is such an eye-opener! Can not thank you enough for writing it. The noise is definitely a trigger for me, too. Funny how we try to compete with it until it drives us to yelling instead of just turning off what we can. I’m going to try to be more aware of what noises are going on and if they can be changed. Oh thank you so much! I’m glad that this series is helpful. I think noise is a trigger for lots of people, but it gradually creeps in on us so we don’t even realize the effect it’s having until we explode. 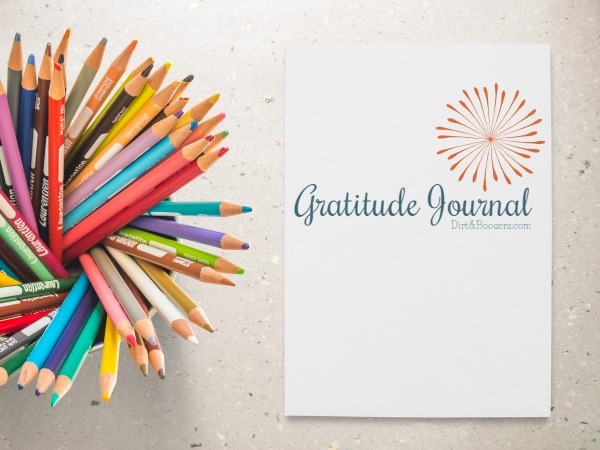 Who knew something so small can make such a huge difference? This is exactly one of my problems. If things get too loud I get overloaded. If my kids are out of my line of sight, I listen for them so I know what they are up to. When there are too many things going on AND noise, oh boy. It drives my husband crazy because he can’t stand quiet so the tv is always on, at a minimum. Nice to see I’m not the only one! Haha! Not the only one for sure. It’s interesting how different people can tolerate a different level of noise. I also know some people who can’t handle the quiet, so they have their tv on all the time. Personally, it would drive me nuts. I totally relate to this!!! I get brutal headaches on a regular basis and I can’t handle background noise. When I have a bad headache and the girls are watching TV or playing loudly, I sometimes where ear plugs so that I don’t irrationally lose my cool. it’s instantaneous for me: a too-loud TV will give me a nasty headache! I too suffer with headaches, Susan, and they can lead to debilitating migraines if im not careful. Noise it a big thing for me too. It doesn’t help that babies like banging things and toddlers LOVE repetition of sounds. Its fairly quiet in my house as I hardly have the TV on and put chilled music on in the background sometimes or I put kiddie music on when I don’t have a headache and have a sing song and dance with the kids. Mornings are slow and quiet, no music, no tv, milk on the sofa reading some books to my daughter before having some breakfasts just taking our time. For me, it’s not that it’s noise–it’s that it’s noise that REQUIRES MY ATTENTION. I can deal with background noise, music, TV, whatever–but when I get more than one person needing my attention, or kid needing attention and the dryer buzzing and hubby texting me and the microwave beeps, I blow. Also, if it’s too hot/stuffy or if I’m putting off my own need for the bathroom too much. Much better if I take 2 minutes, go potty, turn down the AC, hit “delay” on the dryer, and then I can focus on kid and reply to hubby. The rare times that I’m without the kids, I have noise on all the time and I’m fine–it just doesn’t require my ATTENTION. When my daughter was tested for sensory processing disorder she ranked high in 2 areas. Tactile- which was not surprising since that was why we tested. And auditory. Which I did not expect. After that I started paying more attention to noises. I also heard sensory kids often come from sensory parents, and started noticing my own sensory issues. And wouldn’t you know, sounds are way up there for me too. Reading this post was like stepping into my world. My husband loves to play music (which I enjoy at times too, but only when it is more central like jamming out to she tunes while cleaning.) but sometimes the background noise mixed with laundry, dishwasher, crying baby and whiney toddler makes me blow a gasket. I have not got a complete handle on this trigger yet, but hearing that others are experiencing the same is a huge blessing. Thank for sharing. One other thought I wanted to share. It has helped me to turn off almost all noises on my iPhone. It rings when someone calls, tweets when I get a text, and will sound off alarms that I set. Otherwise it is silent, and honestly I still often turn it on silent so even those noises won’t put me on edge. Also I have earplugs by my bedside table. They are vital to survival in my house. Especially if I’m trying to get a little extra sleep. A suggestion if you need to close the laundry install at cat flap so the cat can still do it’s business. I’m planning on doing it. As I can’t stand the noise of the washer. It is SO reassuring to read this. It’s 95% of my frustration and I feel so guilty about it. Sensory overload. Thanks for the honest post! YES! I’ve realized this for a while now. It’s like complete sensory overload especially if my youngest is crying and even worse if I’m hungry as well. I have four boys 7, 5, 2, and 10 months. I TOTALLY get this! I get so jealous of my Husband, because he can block it all out. Dinner time is the worst at our house. Everyone is hungry. I am attempting to cook while nursing a baby or just having at my feet crying. I have a 2 year old that is into EVERYTHING! He’s a climber, so I can’t take my eye off of him for a second or he will be on the refrigerator. My 7 and 5 year old are nagging each other. They start to scream and yell and that’s when I erupt. It is too much sometimes! Amanda, I really get you with this, I really do! Noise, smells, temperature… I am reading a book called “The Highly Sensitive Person” which is just wonderful – I no longer feel like the weirdo in the room! Noise is my only trigger. I teach preschool all day, which uses up most of my sensory tolerance and all of my patience. When I get home, any amount of noise (as in, noise…not kids talking/laughing/playing, but TV/dryer/music/whining/grocery store din/fighting cats) sets me over the edge. I thought it was bc I’m hard of hearing and am frustrated when I can’t actually hear what my kids or hubs is saying to me, but I’m relieved to hear that I’m not alone in the noise trigger! People chewing and slurping food. I truly have to resist the urge to scream at them. Some times my kids aren’t so lucky and do end up being yelled at. The other is the seemingly constant noise of video games. OMGoodness! I was to stab my ear drums so I never have to hear it again. Oh….and the kids yelling and fighting with each other. Oh vey! You nailed it for me – I hate the noise of computer generated game voices especially. Then the TV is left on at same time. My senses get overwhelmed and I can’t focus > I have a hearing impairment and wear a hearing aid for one ear and deaf in the other. Thanks for sharing this. I want to reduce the noise and my yelling. 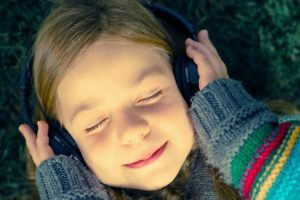 sounds to me like kids these days arent the only ones dealing with sensory difficulties! im the same way, its like the minute my son is up he wants to talk. hes so excited to tell me anything and everything, and i just cant listen, my ears arent awake! though, it is like that all day long ….. Noise is a huge trigger for me b/c I suffer from chronic headaches. Sometimes I put earplugs in while the kids are playing or watching TV. I can still hear them if they talk to me, but it cuts out some of the extra noise.